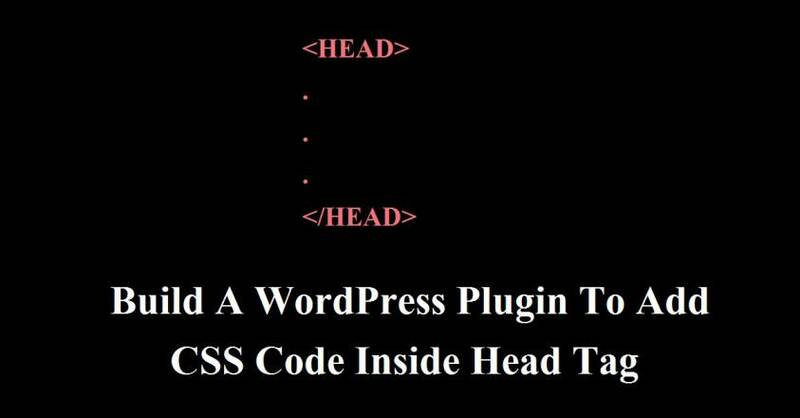 In this tutorial I am going to show you how you can add CSS code inside the head tag or head section of your WordPress site with a plugin and how to build that plugin. I am going to build a really simple plugin which is consist of only one PHP file with few line of codes. Here wp_head is an action hook and you have added custom css within head section using wp_head action. You can add this code inside your theme’s functions.php file. But it is better to create a plugin and do this job using that plugin. This way your code will not remove while updating your theme or in future install a new theme on your WordPress site. Congratulation…! We have now built a simple WordPress plugin which can help a lots. Was it not really easy and interesting? WordPress hooks are great. You can play and fun with these hooks. If you have any question then ask me. Below is the comment box.